Home » Posts tagged "how to draw dogs"
Otter House Activity— Tonight, Joe Foo draws a suggestion from Instagram! 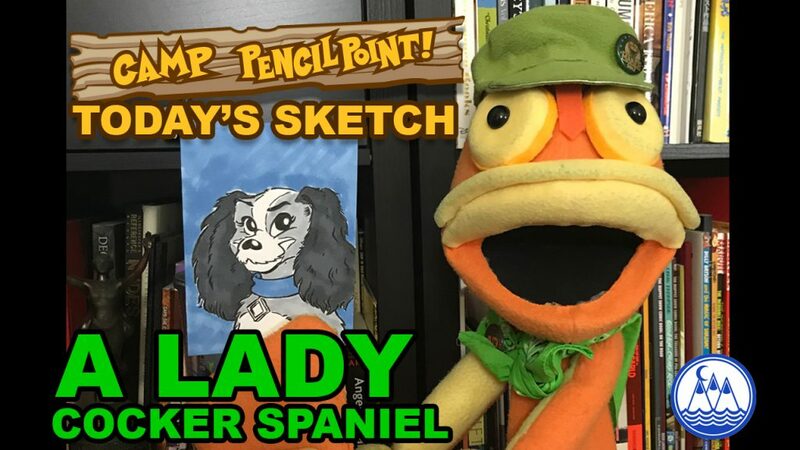 Using simple shapes, Joe will draw a COCKER SPANIEL that looks a little like Lady from Lady and the Tramp. Oh and we will give this sketch away to Emily, who gave us the suggestion. Joe Foo takes a very complex character and breaks her down into simple shapes, giving beginners a simpler place to start. It also gives more experienced artists a chance to stretch their creative muscles and push the boundaries of their own art. If we are drawing too fast, feel free to pause, rewind or rewatch the video! A mechanical pencil was used in this video, as was a Zebra Brush Pen. ChartPak markers were also used. If you have any questions, post to the comments on the YouTube channel, or find Joe Foo or Drew T Drawtopus on Instagram (links below). Draw some characters and dogs using simple shapes!! Let’s see what you can do! Post your art to social media and use the hashtag #CAMPPENCILPOINT. The artists of Camp PencilPoint will keep an eye out for these! Please subscribe to our YouTube channel for all the latest drawing videos! Visit http://camppencilpoint.com for more tutorials, news, appearances and arts and stuff.Check out the all of our videos and enjoy all the of nonsense and tomfoolery! New videos will post every Thursday @ 7pm est. For official Camp PencilPoint updates, follow Drew on social media!